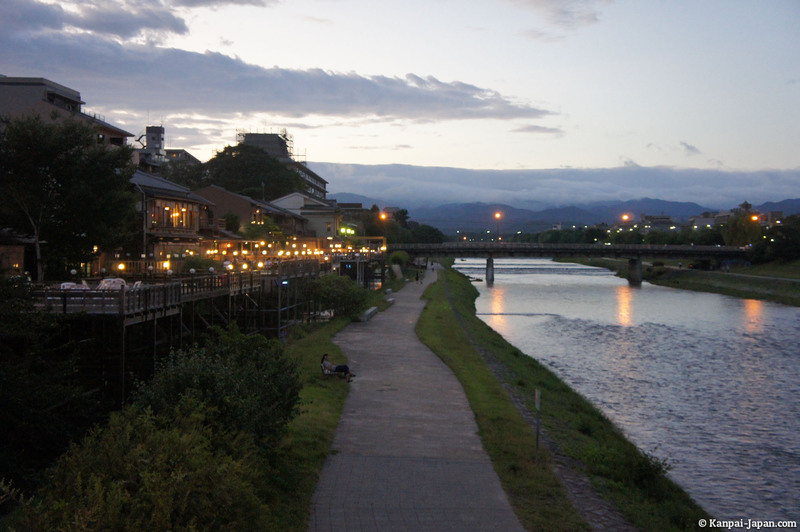 Another unmissable place in Kyoto is Kamo-gawa river. 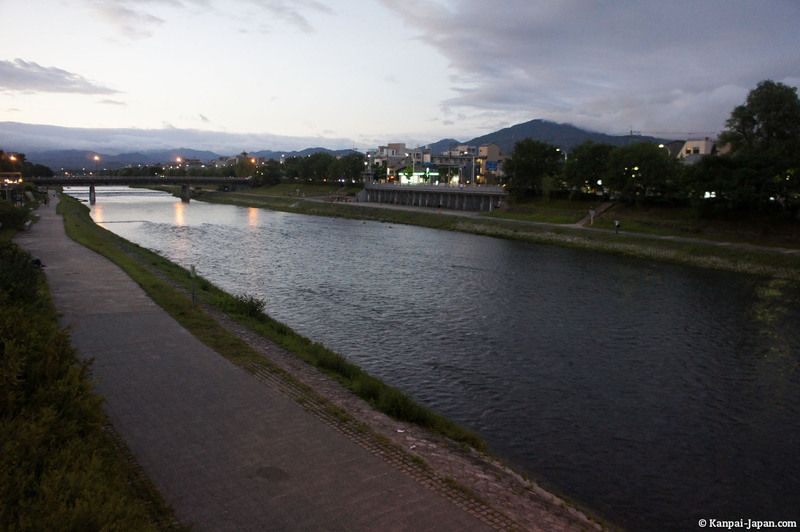 This is probably the most famous and arguably the most popular river in Kyoto. 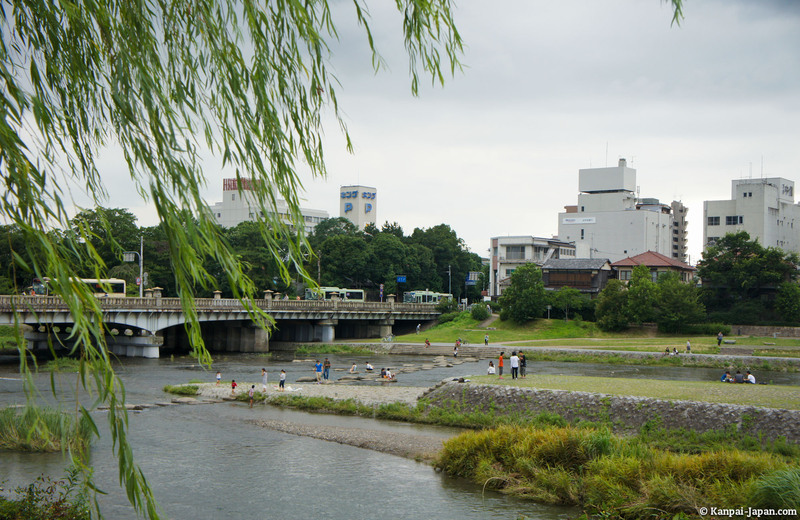 Kamo River runs on about six miles from Demachiyanagi northeast of the city (towards Shimogamo shrine) to the south, not far from Fushimi Inari, where it joins Yodo-gawa. 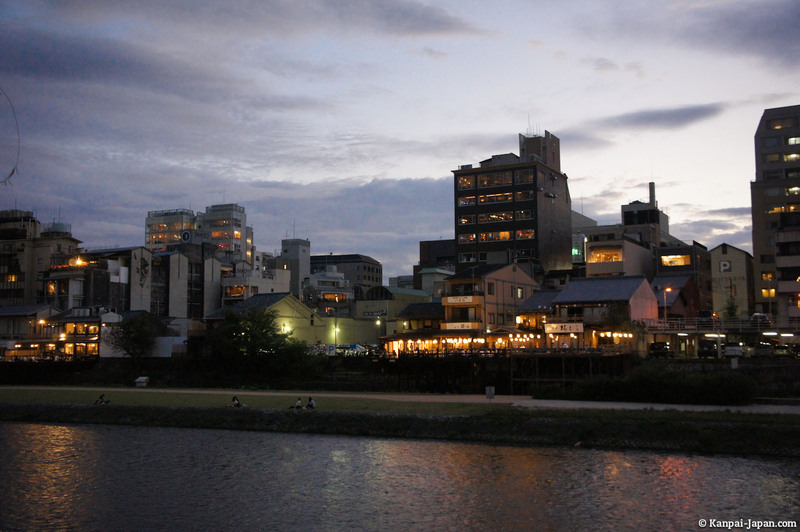 In the west of the city, it has a less popular equivalent: Katsura-gawa. 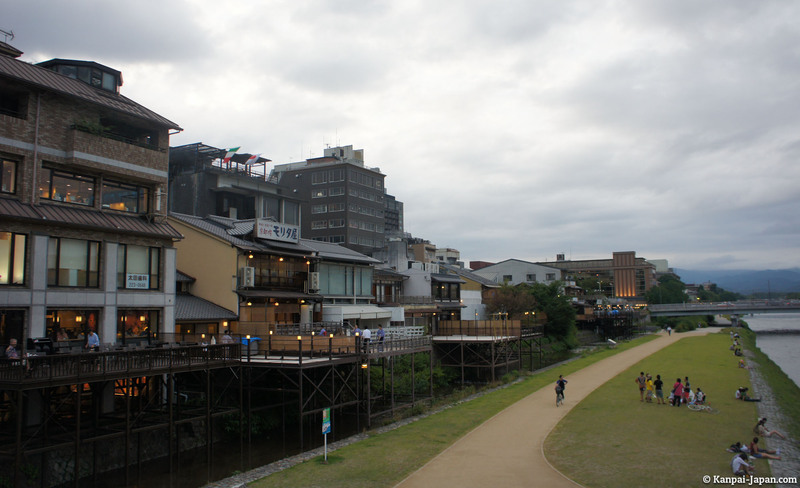 Built on a huge groundwater, Kyoto shows with Kamogawa an impressive and very enjoyable water area. 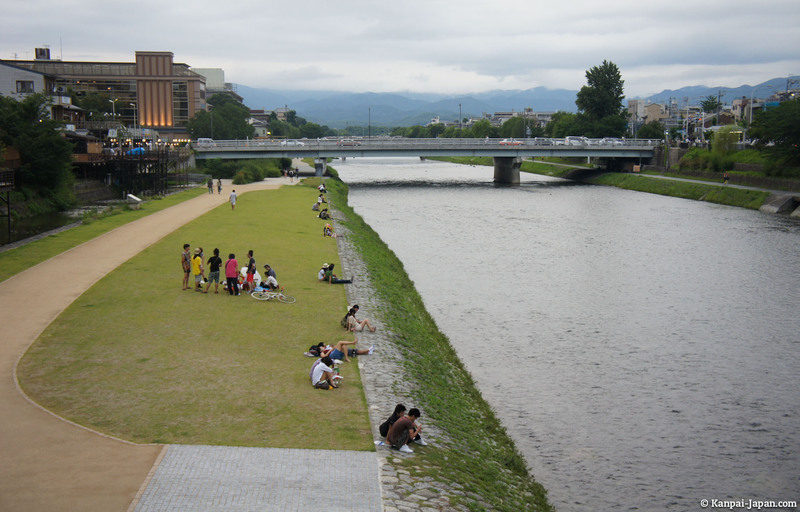 All along, locals and tourists walk or ride their bike or dwell a moment on the grass that borders the river. 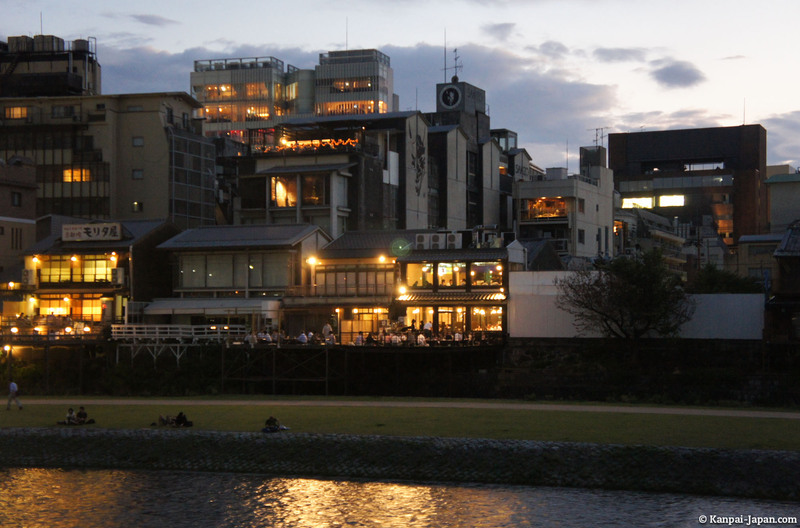 Around Gion, Pontocho restaurants display large terraces, offering customers a very pleasant view, especially on the many birds that wander around the river. 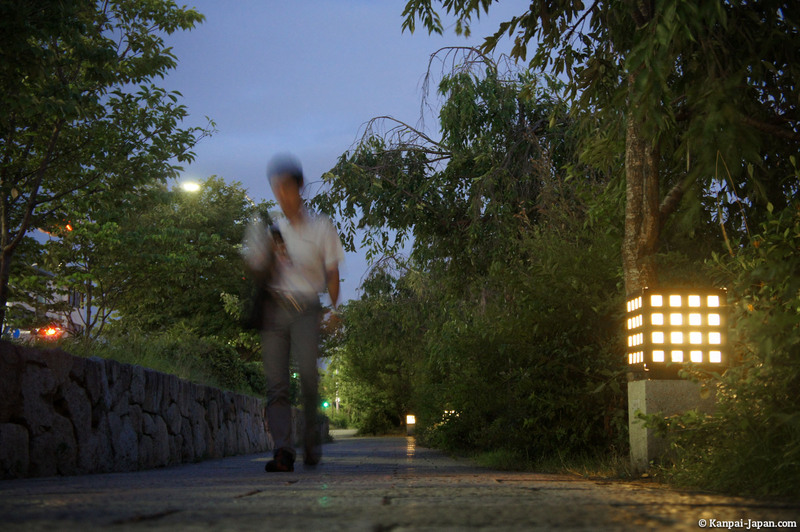 In the evening, Kamo-gawa becomes more romantic with the many lights that illuminate it. 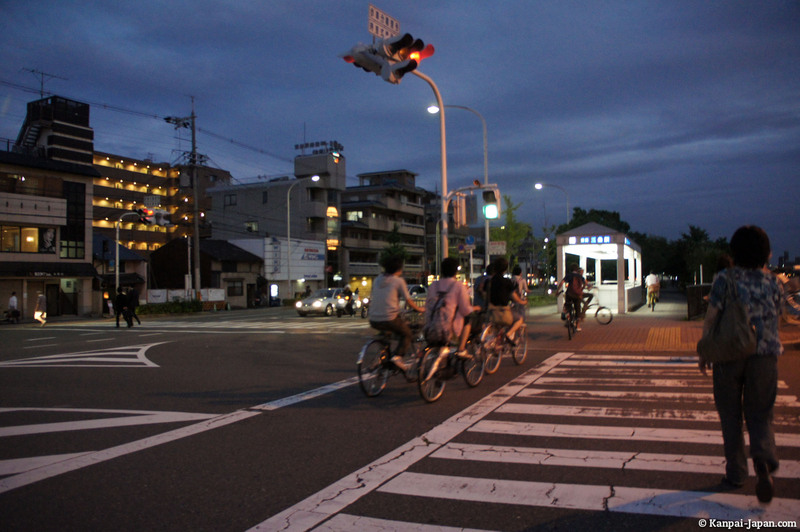 The Kanpai-Japan advice: rent a bike downtown or in the Gion district, start the ride from Pontocho and go up Kamo River towards Shimogamo, then go back down by the other side. 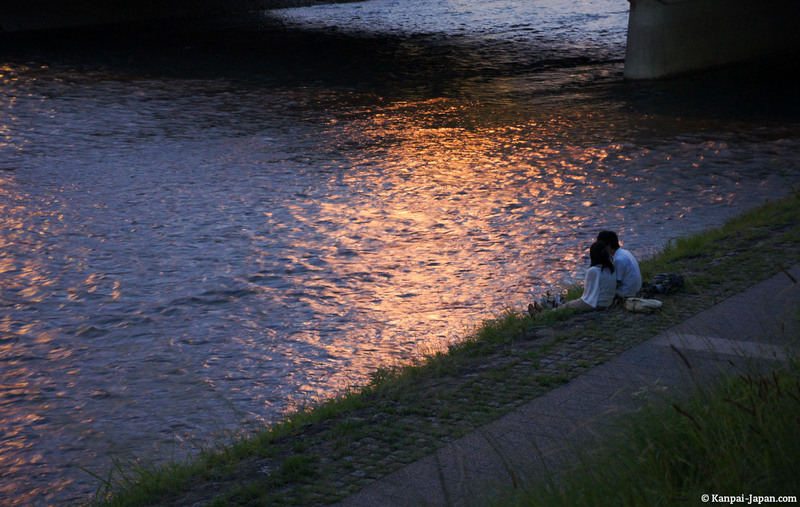 Stop at a place that you like to enjoy the scenery and take pictures.